Delaware Valley Tennis Club is a private tennis club that was established in 1978. The club resides in beautiful Huntingdon Valley, PA. There are 12 fast dry soft surface courts (Har-Tru type). The courts are our own unique design and are expertly maintained to provide a surface that is durable, and body friendly. One other desirable feature is how quickly you can get back to the game after a rain shower. 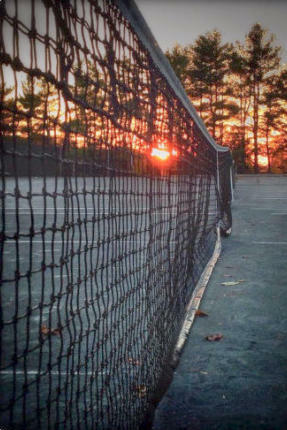 If you are looking for a club that offers friendly members, wonderful grounds in a park-like setting, and fabulous tennis, look no further than Delaware Valley Tennis Club. 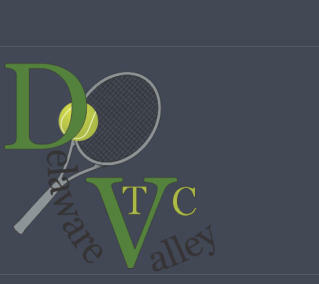 Delaware Valley Tennis Club originated from the Philadelphia Rifle Club in the Olney section of Philadelphia. The avid players at Rifle Club yearning for ownership of their own club sought to find a property suitable for its members in the suburbs. They found a flag lot property consisting of 8 acres in 1977. Some of the original 88 members with knowledge of construction planned and built the tennis facility. DVTC opened in spring of 1978. Tennis players at all levels joined Rifle Club members wanting to enjoy the sport and continue its rich history of National and Regional level tournament champions. We are currently working on our tennis courts. We will open the club soon !! 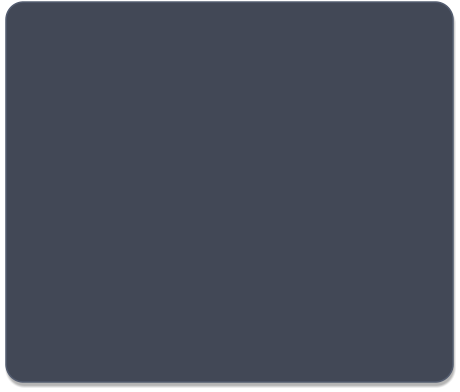 Check our website . 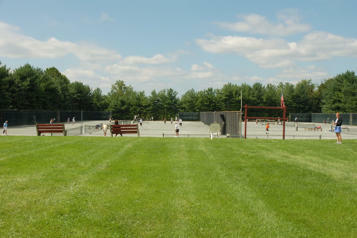 Delaware Valley Tennis Club is a private tennis club that was established in 1978. The club resides in beautiful Huntingdon Valley, PA. There are 12 fast dry soft surface courts (Har- Tru type). The courts are our own unique design and are expertly maintained to provide a surface that is durable, and body friendly. One other desirable feature is how quickly you can get back to the game after a rain shower. 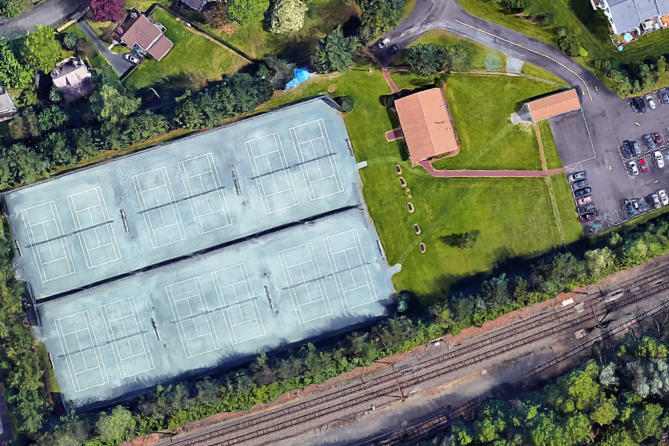 If you are looking for a club that offers friendly members, wonderful grounds in a park-like setting, and fabulous tennis, look no further than Delaware Valley Tennis Club. NEWS 2019 We are close to opening ! Ann Hoffmann is the second candidate to be added to the DVTC Wall of Fame. Ann won several National tournaments on grass, clay and hard courts in Singles and Doubles, in several States throughout her tennis career. She was number one in Singles and Doubles in Middle States, held positions as Secretary and Captain of many M.S. competitions. In 1978 the USTA MS gave the Hoffmann family the distinct award of “Family of the Year”. DVTC Board members George Sawchack, Steve Coleman and Connie Kraus with Pat Keppler (center) daughter of Hugh Quinn Jr.
DVTC life member of the USTA will be inducted into the Hall of Fame October 19th. The ceremony will be held at the Rivercrest Country Club just outside of Phoenixville Borough Chester County. Connie is the fourth member of DVTC to be inducted with many more to come. Harry Hoffman Senior (Inaugral year 2004), wife Ann 2008, John McGrath 2007. ​​​ SUPPORT OUR DVTC CANDIDATE. It influences future selections out of district. DVTC has many more potential National winning candidates. Directions are available on google. Add Rivercrest C.C. 100 Golf Club Drive Phoenixville Pa. 19460.
kids, recreational to very competitive levels. 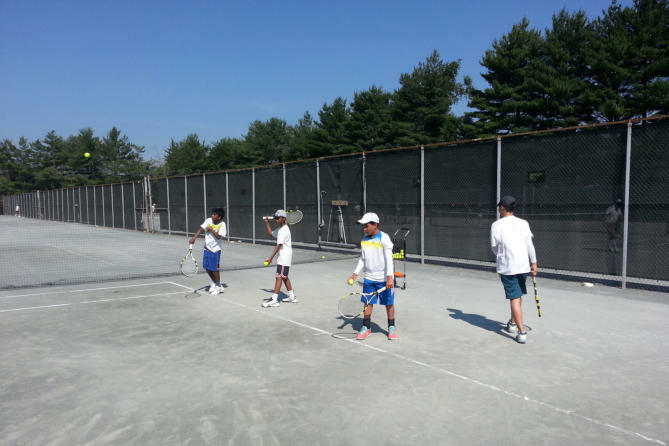 Our teaching pros run several tennis summer camps. Our members enjoy competition in singles and doubles. 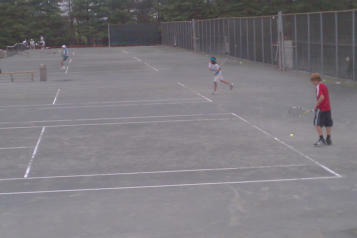 We run several USTA tournaments, and USTA league teams as well. was named the league’s most valuable player. out there with you soon!